Create a sophisticated seating area with this wing back settee and ottoman set. 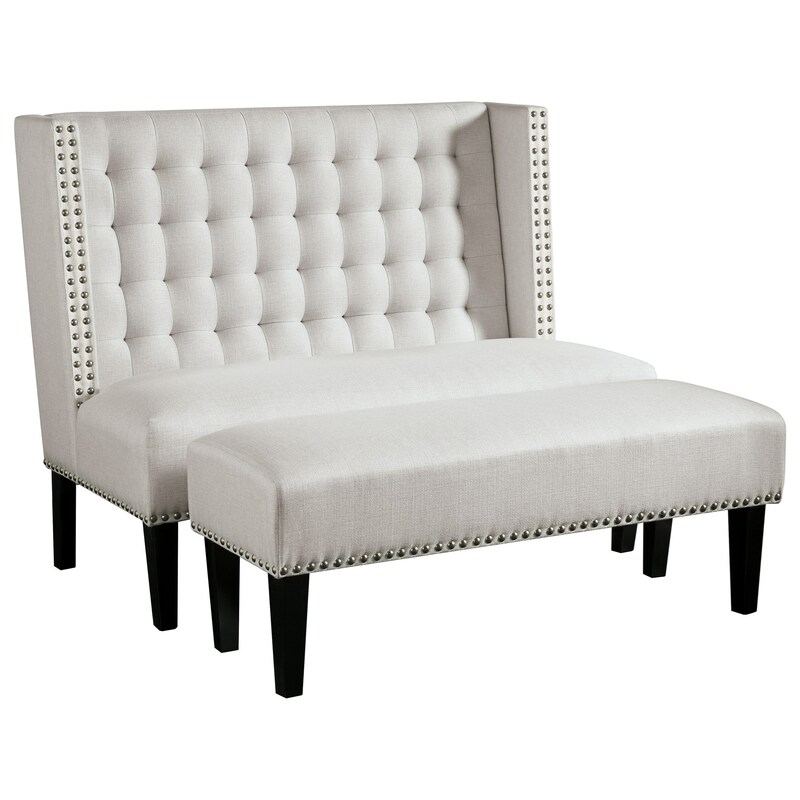 The settee offers a classic tufted back and textured oatmeal fabric. It is complete with double rows of bronze finish nailhead trim on the wings, plus a single row of nail heads at the base. Tapered wood legs in a dark finish provide a sleek contrast to the light fabric. The backless bench/ottoman is a place to put up your feet. Get creative with the versatility of these pieces and use them together or find a place for them used separately within your decor. The Beauland Oatmeal Fabric Settee and Bench with Nailhead Trim by Signature Design by Ashley at Sam Levitz Furniture in the Tucson, Oro Valley, Marana, Vail, and Green Valley, AZ area. Product availability may vary. Contact us for the most current availability on this product. Browse other items in the Beauland collection from Sam Levitz Furniture in the Tucson, Oro Valley, Marana, Vail, and Green Valley, AZ area.